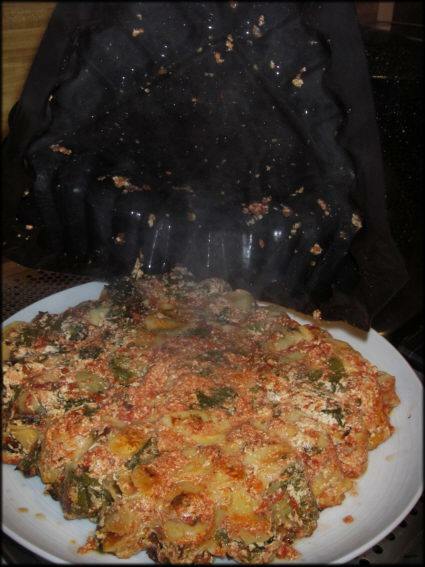 I used the Fluted Square Flexipan Mold for my Broken Lasagna. It is made with a combination of woven glass and food grade silicone. It needs no grease, cooking spray or oil. 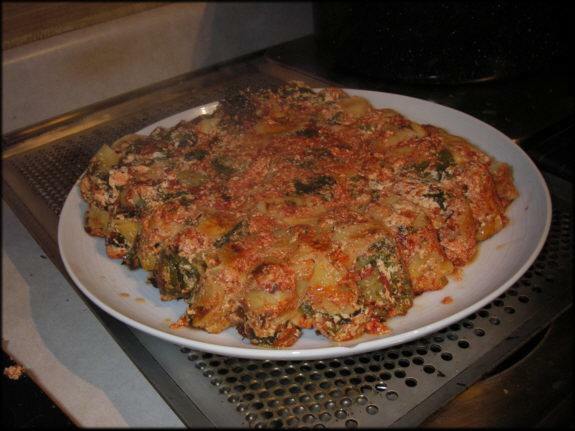 It cooked the lasagna evenly and then I slid it right out of the mold. Clean up is hot soapy water, no soaking or scraping. It measures 9 1/2″ x 9 1/2″ and has a depth of 2″. It holds 2 1/2 quarts. Flipping the Broken Lasanga, look at that steam! It tastes MUCH better than it looks! 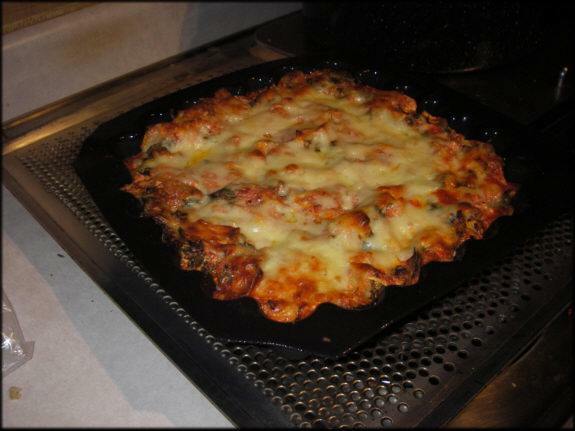 The octagonal makes great lid on most of the Flexipan Molds, you can use it in the microwave instead of plastic and it’s great for covering leftovers in the fridge. 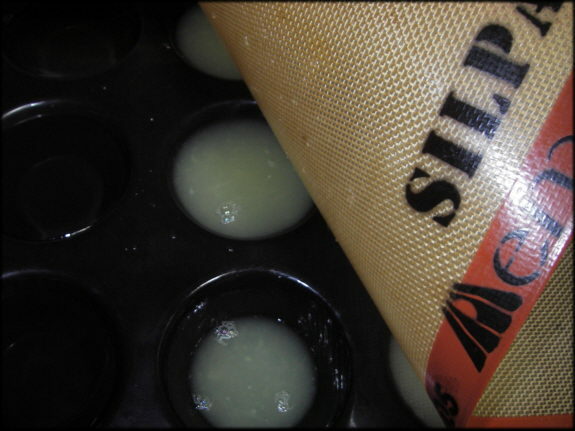 The small, medium and large silpats all have perforated sheets that fit them. They are all sold separately. The Flexipat is perfect for lots of reasons. One of my favorite things to do with it is freeze berries. Because it has a little lip all the way around, the berries won’t roll off! 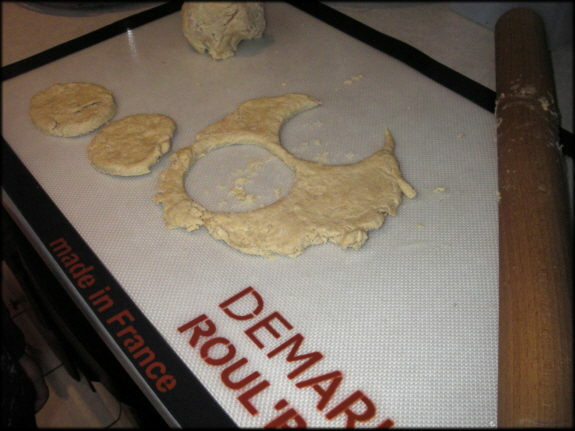 Ok, you caught me using my old, disgusting jelly roll pan...time to get myself another Perfoated Baking Sheet! 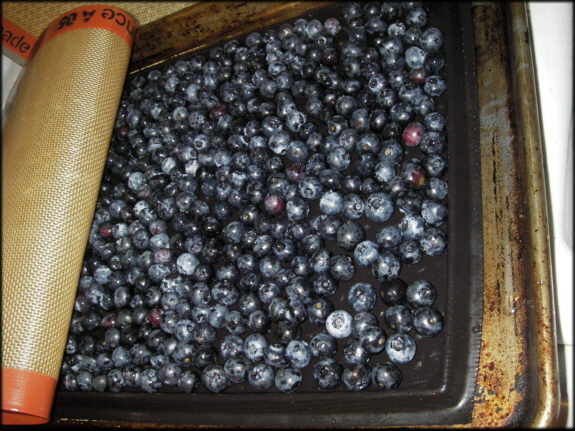 Notice, I used a Silpat to cover the blueberries while they were freezing. I also froze strawberries this way. Peaches cut it half will also free well on the Flexipat. Speaking of freezing: I like to freeze citrus juice in my Mini Muffin Tray. I never seem to be able to use the fruit before it spoils. Or I end up needing the zest and not the juice…anyway, freezing the juice is a great way to utilize the whole fruit. I used my regular muffin tray to freeze extra lemon juice. The regular muffin tray has a capacity of 4 oz, so I know exactly how much frozen juice I have. Notice that I used a Silpat to cover the juice while it froze. On the topic of freezing…the flexipans make great ice cubes too. I made a beautiful ice ring with the Fluted Bundt Mold once, we put flowers in the center. It was very pretty. My kids like to make ice cubes in different shapes; teddy bears, hearts, flowers. Teddy Bear ice cubes are great for babies getting new teeth. 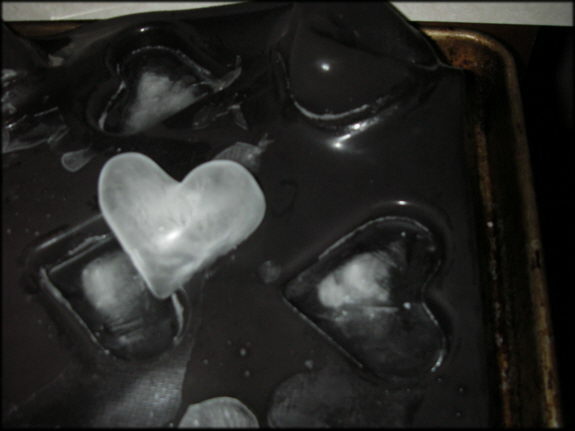 Here are some heart ice cubes. They pop right out, much easier than traditional ice cube trays. And much more reliable than and ice maker! 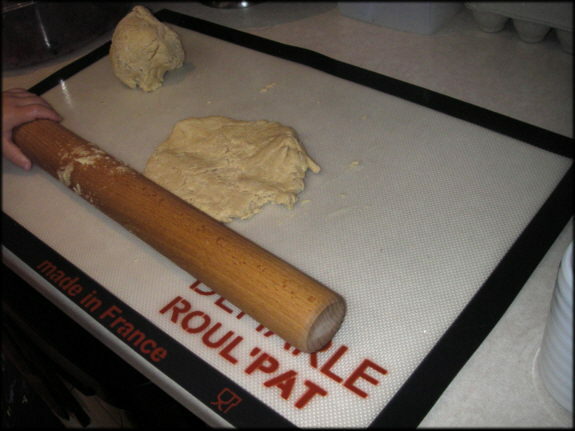 I mostly use my Roul’pat for making biscuits and bread. Nothing sticks to the Roul'pat or Beechwood Rolling Pin; if your dough is sticky, add flour to the dough, not the Roul'pat. The cut-out biscuts pull up easily. 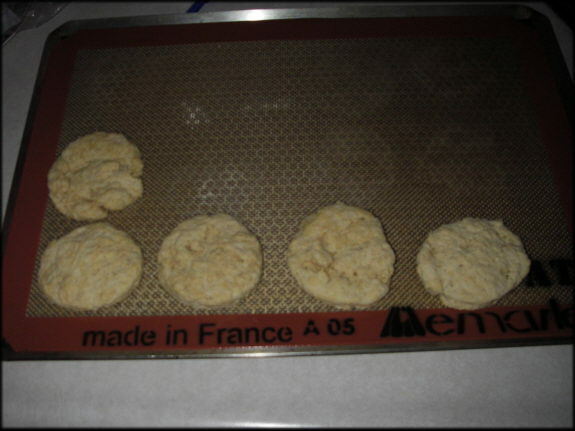 I bake the biscuits on a Silpat with a Perforated Baking Sheet in a pre-heated 350 oven for about 12-15 minutes. 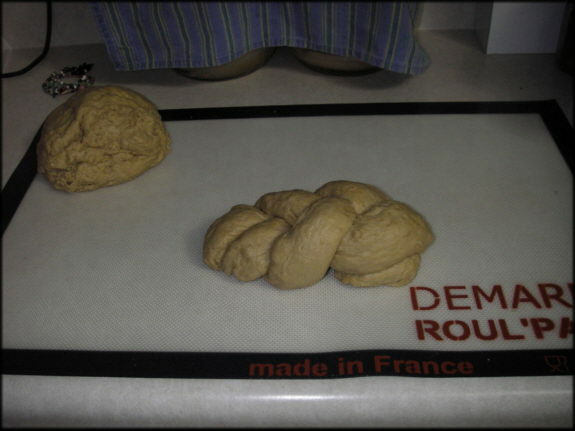 Kneading bread on the Roul'pat is very easy. No extra flour, no extra mess! 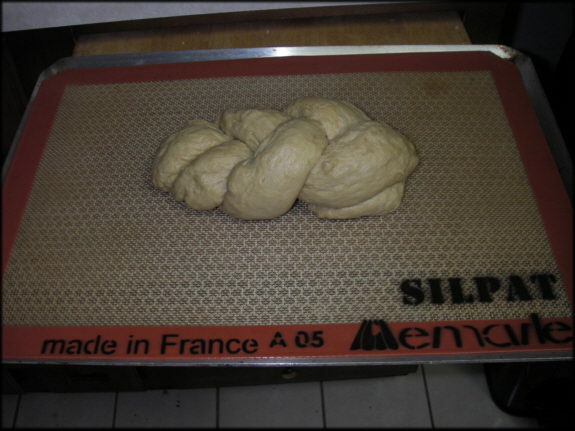 I transfer my bread to a Silpat and Perforated Baking Sheet. I bake it in a pre-heated 375 degree oven for about 30 minutes. One of the most versatile flexipan molds I use is the Flower Mold. It not only bakes a beautiful cake (one that you can cut into quarters for 4 perfect heart shapes) but it’s ideal for Crustless Quiche, Poached Salmon or even roasting a Whole Chicken. The Octagonal Silpat is a perfect lid for it; making it very easy to poach fish. It measures 10 1/4″ in diameter and has a 2 1/4 quart capacity. The Muffin Tray is a very versatile piece. It comes in 6 or 12 shape trays and has a capacity of . It’s not just for muffins. I recently made challah rolls (challahettes). I froze them in the muffin tray. When I am ready to bake them, I let them defrost/rise for a couple of hours before I bake them in a preheated oven. I am a demarle rep also, in Washington State. I love that you have a blog and that you write about how you use your fabulous demarle products. I have considered doing the blog thing – to keep my customers updated with ideas . . . but just don’t think I have the time right now. You have been doing this for about two weeks? I would love to correspond with you . . . Sorry I have not been doing any parties, I miss doing them but for the first time in my life my time is not my own. After thanksgiving I will have more time and maybe even get one or two in before then.